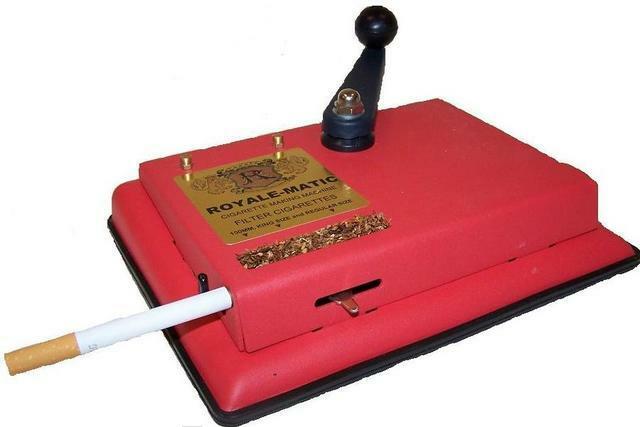 RYOC/FairPrice recently started selling the Royale-Matic (RYOC page), another Supermatic clone, for $28. mike c reports that repair service is available. but the point of this post is YOUR opinion of it VS the SM 2???? I really don't have an opinion Mike. I stripped the threads on the gripper timing release on the Royale-matic before I got a chance to make more than a couple of sticks on it. Will the new plastic cutter work on the supermatic II. I can tell you that I like my supermatic a lot better than I did since I got the turbo-matic. so lets see if things start getting better and we can put your 2 devices into a dogfight!!!!!! No, the bolt is stripped. I tried another nut on it. I have a new supermatic II that I bought for a backup. I can take the gripper mechanism off it and put it on the Royale-matic. in this case new parts can all be purchased if needed,,,,,,and I hope mine is just another stripped nut,,,,,,,btw, how do you get the nut off? imagining it still doesn't want to unscrew from a stripped situation??? For removing the stripped nut you could try prying from below (knife blade or screwdriver) while turning the nut. I have it now, and I will do my best to honestly describe through my eyes. If you are willing to make a couple easy adjustments, this is it.....this is what you want to make the most affordable leap to a crank machine from a hand held device. Mike, I just got the machine yesterday so I haven't had a chance to give it a workout yet. I have a supermatic II but not a supermatic so I can't say whether or not it is a true supermatic clone. Here is what I know so far. It arrived with no manual, no instructions and as far as I know no warranty. The body is two piece formed metal with a rubber mat that doesn't fit very well. I've tried a half a dozen different tube brands and all seem to fit fine, so I'm assuming the nozzle diameter is whatever it should be. It is in need of some adjustment. When the lever is set at 100MM the cam bumps up against the washer on the timing release nut not allowing the dimple to seat in the hole in the cam. I'll post pics of this problem later. The cutter is all metal. I made a couple of king size sticks and got filter voids and paper tears, I'm assuming this is because of the timing release mis-adjustment. The cranking action seemed smoother and easier than on the supermatic but this may be just because it's new and I haven't had a chance to abuse it yet. The short story is that if you don't have a crank machine, the Royale_matic is probably better than the one you don't have, but not by much. The Royale_matic and the Supermatic II are exactly the same size. The diameter of the nozzle on the Royale_matic may be between .0005 and .001 inches bigger than on the supermatic. Well I've tested this machine pretty throughly and it consistently either leaves filter voids or tears the paper, so I think it's safe to say that it is indeed... a supermatic clone. I'm actually looking forward to the day when they get the taxes on premades up to around ten or fifteen dollars a package. Then maybe someone will seize the opportunity and take enough interest in this "hobby" to design and produce a machine that makes a suitable alternative to premades.